Visit a French-style winery, the Great Wall, and Beijing’s UNESCO-protected landmarks with a private guide. 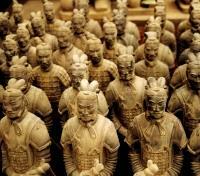 Meet the Terra-Cotta Warriors and stroll the fascinating Muslim quarter of Xi’an. Step out on foodie walking tours, learn to cook from an expert chef, and see the sights by motorcycle in Shanghai. 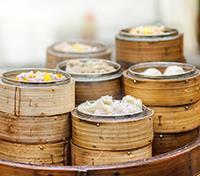 Discover the unique local flavors of Hong Kong and opt for a Michelin-starred dinner. With its thriving and diverse culinary scene, fascinating ancient and modern architecture, and centuries-old culture, China has something for every passion. This food-focused itinerary introduces travelers to the country’s captivating mix of flavors and from Beijing to Hong Kong with a hearty helping of historical and cultural highlights. Beijing is a city defined by its past as much as it is by its future. You’ll experience the former on a private cycle-rickshaw tour of the hutongs, a maze-like network of narrow alleys filled with courtyards, artisan shops, and restaurants before a traditional dumpling lunch and a tour of the Summer Palace, a vast UNESCO-protected complex of pavilions and traditional gardens spread across 717 acres around Kunming Lake. The Great Wall is a must-see, and the restored Mutiyanu section is one of the most picturesque places to cross it off your list. 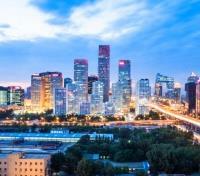 After a visit to the celebrated Chateau Changyu winery, you’ll get to see this ancient engineering marvel and refuel over a meal of delicious Peking duck before taking a private tour of three Beijing landmarks: Tiananmen Square, the stunning Temple of Heaven, and the Forbidden City’s rarely seen Shu Fang Zhai Palace. We then move south to Xi’an, once the bastion of China’s imperial houses and current home to one of the country’s largest Muslim communities. After taking in a spectacular cultural performance, you’ll have a private rendezvous with the city’s famous Terra-Cotta Warriors before getting a taste of China’s diversity on a guided walk through the Muslim quarter’s streets and markets en route to the Big Wild Goose Pagoda and a delicious dumpling dinner. Boosted by an influx of immigrants from across China and the world, Shanghai’s food scene has steadily become one of China’s most diverse. See the change for yourself on a guided walking tour through the back streets of Old Shanghai, where street vendors serve up all sorts of exotic fare from China’s distant provinces, including shengjianbao (fried dumplings), chang shou mian (the famous “long-life noodles”), and other specialties. Later, explore “Venice of the East” on a private exploration of the water town of Zhujiajiao before taking a private walking tour of the M50 Art Zone and Shanghai Propaganda Poster Art Center, a thriving artists enclave. After learning the secrets of Shanghainese cuisine at an expert-led cooking class, say goodbye to Shanghai from a sidecar on a thrilling motorbike tour of the city’s highlights. Last stop: busy, bustling Hong Kong. After a warm welcome dinner of local fare at Kowloon’s Temple Street market, you’ll dive stomach-first into the city’s culinary scene the next day on a private food tour that will introduce you to Hong Kong Island’s historic Central and Sheung Wan neighborhoods. Still hungry? Ask your Destination Expert to make a reservation at the Langham’s T’ang Court (one of only four Cantonese restaurants to earn three Michelin stars) or elsewhere for a delectable farewell dinner. The Opposite House features luxuriously appointed guest studios designed by the renowned Japanese architect, Kengo Kuma. Designed to provide a sense of space, warmth and comfort, studios start from 45/481 sqm/sqf, which are arguably some of the largest in Beijing. They come fitted with signature wooden floorings and oak tubs. Partnering with well-known Shanghai based Australian restaurateur David Laris and restaurant designers Neri & Hu, the hotel offers an intoxicating blend of restaurants and bars. Tucked behind Beijing’s ever-growing landscape of skyscrapers, a network of traditional neighborhoods called “hutongs” offers a rare glimpse into Beijing’s working-class lives. Explore the maze-like network of narrow alleyways that make up this unique neighborhood with your private guide and experience the bustle of daily life from your vantage point on the back of a tricycle rickshaw. The hutongs are a tightly knit community of siheyuan, a compound of low-rise houses built around a central courtyard, connected by a series of narrow lanes and alleys best navigated by bicycle, rickshaw or on foot. The gray-tiled houses and identical crisscrossing alleys are ripe for exploring – tucked in the courtyards are local artisans, small businesses and even restaurants. Many of these neighborhoods were torn down during the 20th century to make way for new roads and residential towers, and some of the remaining hutongs have protected designation from the Chinese government. Stop for lunch with a local family and watch them prepare Jaozi – the traditional dumplings of northern China. 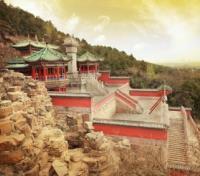 After a delicious lunch, drive to the Summer Palace, a UNESCO World Heritage site dating to the 12th century. The vast imperial encampment of temples, ornate pavilions, and halls are set in a park around Kunming Lake. Occupying an area of 294 hectares, three-quarters of which is water, the compound features a sprawling archetypal Chinese garden that is ranked amongst the most noted gardens in the world and a truly picturesque setting to explore. The Long Corridor is a must-see – this covered walkway is decorated with more than 14,000 lavish paintings. Sail around Kunming Lake on a shared boat trip before returning to your hotel. This evening, venture into the trendy Wangfujing area with your private guide to explore the night market. Prepare to have all your senses stimulated as you navigate the sea of food stalls and souvenir hawkers, boasting an assortment of memorabilia at affordable prices. A dazzling array of snacks can be found, from steamed dumplings, crispy fried chicken, to more exotic local Chinese delicacies that are sure to captivate your imagination and the camera’s lens. Upscale shopping and dining options can be found immediately outside of the Wangfujing market for more discerning palates, and while the market is fun to explore with your guide, we do recommend dining in a restaurant afterwards. 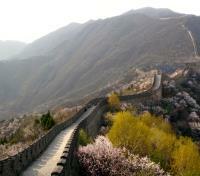 Enjoy a full day private guided tour of a Beijing Chateau amid vineyards and of the Mutianyu section of the Great Wall. If you are going to sample some wines in Beijing, it is worth visiting Chateau Changyu AFIP Global, a French-style chateau set in the Chinese countryside. The chateau is located in Miyun District, northeast of Beijing. The chateau is known for its brewing, tourism, training and leisure activities. Afterwards, continue to the Mutianyu section of the Great Wall. Located in Huairou County northeast of the Beijing urban area, the Mutianyu Great Wall crosses the mountain ridges connecting Juyongguan Pass to the west and Gubeikou to the east. Along with nearby Huanghua Great Wall and Jiankou pass, these fortifications make up the northern barrier protecting Beijing city and the imperial mausoleums. Mutianyu’s 2.5 kilometer stretch of the Wall allows you to walk for more than an hour as you explore 22 watchtowers and the valley on both sides of the Wall. Lunch is included at a local restaurant. Peking duck is an iconic dish that originated Peking duck is an iconic dish that originated in Beijing, and has been prepared since the imperial era. Enjoy a memorable dinner of this classic dish at Dadong Restaurant, a popular choice with locals and travelers alike as a fine example of this succulent dish. It is also possible to sample some non-duck dishes during your meal. Spend the day exploring three of Beijing’s most photographed sites with your private guide and driver, and enjoy exclusive access to Shu Fang Zhai Palace while visiting the Forbidden City. Head to the center of Beijing and begin with a walk across the sprawling expanse of Tiananmen Square. Built in 1417 during the Ming Dynasty and serving as the front door to the Forbidden City, the present square is one of the largest in the world, stretching a vast 44 square hectares. Here, walk past and featuring the Tiananmen Tower, Monument to the People’s Heroes, Great Hall of the People, and the Mao Zedong Memorial. Many historically important moments have unfolded in this public setting. From here, cross the street and enter through the towering gates of the Forbidden City, a UNESCO World Heritage Site with the largest number of preserved ancient wooden structures in the world. The expansive palace complex is comprised of 9,999 buildings spread across 74 hectares and protected by a 19-foot deep moat and a 32-foot tall wall, divided into two parts. The Outer Court was where the emperor exercised his supreme power over the nation, while the Inner Court was where he lived with his royal family. 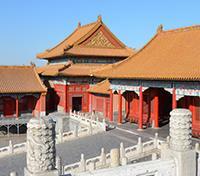 Twenty-four emperors from the Ming and Qing dynasties reigned over China from the Imperial Palace here until 1924. During your visit to the Forbidden City, enjoy an exclusive visit to Shu Fang Zhai Palace, a section of the Forbidden City that is not open to the general public. The Palace was the study of Prince Qianlong in his youth, and later became used as a banquet hall when he became Emperor Qianlong. The visit to Shu Fang Zhai Palace will enhance guests appreciation of ancient Chinese palace architecture, the life of Emperor Qianlong and the history of the Qing Dynasty. Stop for a 3-course lunch at TRB Forbidden City, a Beijing-inspired spin on European fine dining. Next, drive to the Temple of Heaven, a serene space set amidst expansive gardens, and a popular spot for locals and travelers alike. With your private guide and driver, head to this urban oasis UNESCO World Heritage Site, originally constructed in 1420 during the Ming Dynasty to offer a sacrifice to Heaven in exchange for a bountiful harvest. The most magnificent buildings are The Circular Mound Altar (Yuanqiutan), Imperial Vault of Heaven (Huangqiongyu), and Hall of Prayer for Good Harvest (Qiniandian), which are connected by a wide bridge called the Sacred Way. The park grounds surrounding the park are a popular local mingling spot, and it is quite common to see people practicing Tai Chi amidst the green space. Today’s tour involves a fair amount of walking at a leisurely pace. Comfortable walking shoes and adequate protection from the sun are highly recommended. With food being such a prominent part of Chinese culture, there is a wide range of cuisines that must be experienced when visiting China. 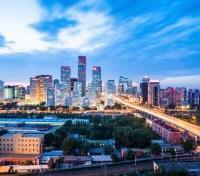 From groundbreaking fusion dishes to traditional delicacies, Beijing has it all. Be sure to try out the local favorite, Peking duck. Tonight, you will be able to indulge in an unforgettable gastronomic experience accompanied by a private guide. Reservations will be made in advance at the restaurant of your choice, and round-trip transportation in a private vehicle will also be provided. Our Destination Experts can provide top recommendations for anything from fine Chinese dining to high-end international restaurants. Please note: Your meal is not included and will be paid for on location. Reservations are confirmed at the time of booking and are subject to availability. Enjoy a private transfer between the train station and your hotel with an English-speaking guide. Transfer from Beijing to Xi'an via the high-speed bullet train. The train ride is approximately 6 hours. Enjoy your VIP seats at the Tang Dynasty Dinner Show with a private vehicle transfer. At each performance there are over 100 artists who entertain with a colorful spectacle of dance and music symbolizing the splendor of the Tang Dynasty, regarded as the most progressive and prosperous era of Imperial China. 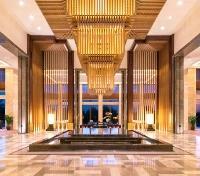 Hyatt Regency Xi’an offers guests an unforgettable experience on the banks of idyllic Qujiang Lake. 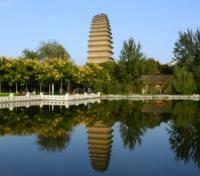 Guests can access Qujiang Pool Relics Park conveniently from the hotel. Unwind in your spacious guestroom or suite, featuring elegant artwork and Chinese element furnishings. A large indoor pool, fitness center and spa help you to relax after a long day. Fulfill any work obligations at ease with a full business center equipped with faxing, copying and computer rentals. 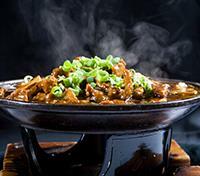 Choose from three restaurants and bars to sample delectable Northern Chinese food. When you’re looking to discover the city, enjoy easy access to main historical sites like the Wild Goose Pagoda and the Qujiang Pool Relics Park. A complimentary bilingual taxi card for your driver’s reference allows for a relaxing exploration of Xi’an. Set out with a private guide on a half-day tour to visit the Terra Cotta Warriors. The over 7,000 Terra Cotta life size warriors and horses arranged in battle formations are China's greatest archaeological excavation. They symbolically guard the Mausoleum of Emperor Qin Shi Huang, who was the first emperor of the Qin dynasty (246-209 BC). A deluxe lunch is included. Enjoy a two hour evening walking tour in Muslim Cultural street in Xi'an - a fascinating area of the city which juxtaposes old against new. 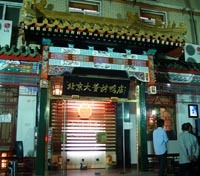 Nowadays this district is divided into three parts namely, Beiyuanmen Street, Xiyang Market, and Huajue Lane, and gets its fashionable name "Muslim Street". The Drum Tower is to the southern end and the Great Mosque is to the northern end of the district. The mixture of ancient culture and modern style along with the prosperous scene and tantalizing smells will give you a great insight into the pulse of the city. You'll also get to visit the Big Wild Goose Pagoda evening music fountain during your tour and enjoy a deluxe dumpling dinner. 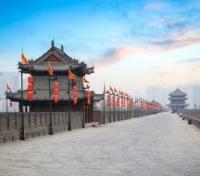 Board a flight with direct service from Xi'an to Shanghai. Approximate flight time is 2 hours. Shanghai is the financial powerhouse of 21st century China, and the influx of migrants from remote corners of the country to this metropolis have brought their culinary traditions to this thriving metropolis for all to enjoy. Leave behind the well-known tourist paths along the Bund with your private guide and driver and immerse yourself in local Shanghainese culture and cuisine – and be sure to bring your appetite. Start at the People’s Square and weave your way on foot through the back streets of Old Shanghai, stopping to try some local snacks in the local traditional restaurants. Along the way, pass by some of the last remaining iconic “laneway” housing in Shanghai, known as shikumen, and wander through a vibrant restaurant street where vendors serve up exotic dishes from their homes in far-flung Gansu and Xinjiang provinces. 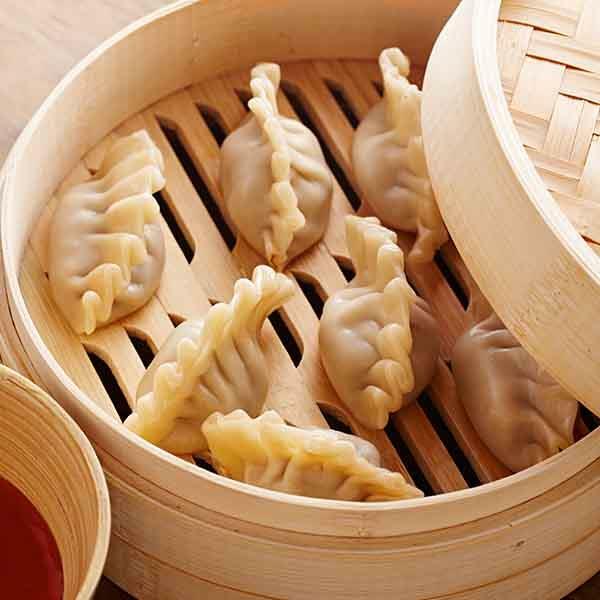 Discover the popular local snack food Sheng Jian Bao (pan-fried dumplings) or the international favorite Xiao Long Bao, a well-known steamed dumpling bursting with soup flavor served in bamboo baskets. Dig into Xie Ke Huang, a pastry that resembles a crab shell filled with spring onions, pork, crab meat, shrimps, mashed beans and sugar, and dine like royalty on Chang Shou Mian, a traditional handmade wheat noodle served in a clear meat-broth based soup. 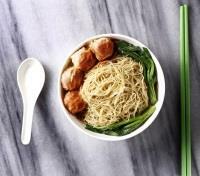 The handmade noodles are also known as Longevity Noodles, and the recipe was passed down from a former royal chef. For a change of pace, try the very popular local delicacy of bullfrog stir-fried with green pepper or even the Xinjiang Stone Oven Naan, a savory bread baked in a stone oven originating from Kashgar in the country’s far west. Top off your day with some tasty deep fried wontons and a tipple of yellow wine, a traditional Chinese wine made from fermented rice and satisfy your sweet tooth with local desserts and a cup of tea or coffee at a teahouse. 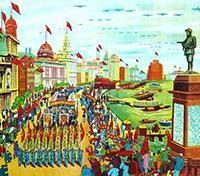 Discover the story of Shiliupu Dock in the unique design of the riverfront Indigo Hotel on The Bund. Shanghai's grand waterfront provides the picturesque setting for Indigo Hotel on The Bund. The lobby's eclectic sculptures bring artefacts reclaimed from historic Shiliupu Dock to life, and the swirling feature wall mirrors the flow of Huangpu River. 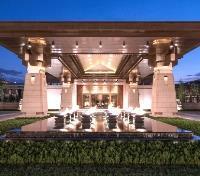 Take in the scenery from your individually styled room, the contemporary fitness center or the river view infinity pool. Shiliupu Dock's shops and restaurants are on the doorstep of the hotel. Get to know the area with a stroll past the colonial buildings of The Bund or the Ming pavilions at Yu Garden. Indigo Hotel on The Bund is a 10 minute walk from the Pudong ferry and 45 minutes' drive from Shanghai Pudong International Airport. The iconic Char Bar and Grill at Indigo Hotel on The Bund evokes the glamour of old Shanghai while your spa bathroom's décor reflects Pudong's skyline. Find peace in the library at Quay and share authentic dumplings from the eclectic café menu. 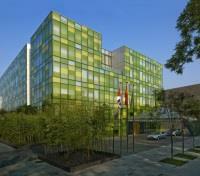 Indigo Hotel on The Bund is your doorway to China's global city. Meet your private driver and guide at the hotel, and depart Shanghai for a half-day excursion to Zhujiajiao; a beautiful water town on the banks of the Yangtze an hour outside of Shanghai. The 47 square kilometer town is almost 1700 years old. Its beauty lies in its lovely streams, which reflect the traditional houses built on their banks. 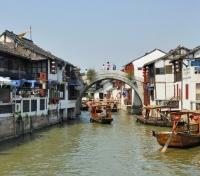 Large and small gondola-like boats in typical Chinese style ply the waters all around the city. After your tour, you'll be returned to Shanghai. Some of Shanghai’s best contemporary art is not found in a formal museum setting, but is best explored in the M50 Art Zone and the Shanghai Propaganda Poster Art Center. Your private guide will accompany you to the M50 Art Zone from your hotel with a private driver and walk you through the burgeoning district, set against a backdrop of restored factories and the infamous Shanghai graffiti wall. The area is home to a blossoming arts scene, and some of the city’s best-known modern artists work here, such as Zhou Tiehai, Ding Yi, and Xu Zhen, all of whom have participated in Venice Biennale. Stroll through the neighborhood’s eclectic mix of galleries at your leisure before driving to the Shanghai Propaganda Poster Art Center for a remarkable look at the 20th-century history of China. The posters cover a wide range of artistic styles and influences, ranging from cartoons to large-scale industrial print propaganda, and a unique collection of Big Leap Forward and Cold War era industrial themes. 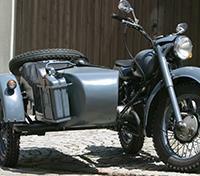 Return to your hotel by private vehicle at the end of the tour. From your hotel, a local Shanghai guide will pick you up and transfer you to a Chinese Cooking Workshop Puxi Kitchen. Once settled, your Chef will explain some basic kitchen knowledge and dive deeper into the process of creating some local specialties including Nan Xiang Xiao Long Boa (Shanghai Buns) and Jiazo Zi (dumplings). You will then have the opportunity to use what you've learned to create both items, and then sit down and enjoy them. After class your guide will take you back to your hotel. Venture off Shanghai's beaten path with a memorable and historical way of seeing Shanghai, traveling in a vintage sidecar driven by a motorcycle. Get an insider's perspective of hidden secret spots, tiny backstreets, and off-the-beaten-path gems that are not featured in most guidebooks. Discover the older, traditional side of Shanghai using a means of transport that was very popular before China rapidly modernized, and hear anecdotes from the guide about how the city dwellers are adapting to the new face of Shanghai. By visiting the backstreets of the city, you'll avoid most of the traffic jams the urban core is known for. At the end of your adventure, transfer back to your hotel. With food being such a prominent part of Chinese culture, there is a wide range of cuisines that must be experienced when visiting China. From groundbreaking fusion dishes to traditional delicacies, Shanghai has it all. Be sure to try out the local favorite, delectable soup dumplings. Tonight, you will be able to indulge in an unforgettable gastronomic experience. Reservations will be made in advance at the restaurant of your choice, and round-trip transportation in a private vehicle will also be provided accompanied by a private guide. The guide will help you get settled into the restaurant and can assist with navigating the menu, but will not be joining you for dinner. Your Destination Expert will provide top recommendations for anything from fine Chinese dining to high-end international restaurants. 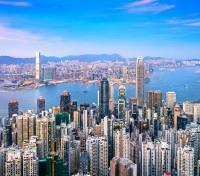 Board a flight with direct service from Shanghai to Hong Kong. Approximate flight time is 2.5 hours. Gritty, traditional, but also a mirror of contemporary Hong Kong, the Kowloon heartlands of Yau Ma Tei and Jordan are at their buzzing, idiosyncratic best as night falls. Visit a century-old fruit market for a blend of hilarious urban tales and exotic fruits. Soak in the lights and sounds at Temple Street market and sashay into an old-school singing parlour that only lives on in this part of town in between enjoying a very local dinner. You’ll also get the chance to have your fortune told under a banyan tree before we cap off the night with more local food delights. Hotel ICON is a luxury Hong Kong hotel that takes a new look at hospitality. Hotel ICON is all about individuality and a celebration of Hong Kong’s finest. Hotel ICON is passionate about local culture - art, design, fabulous food and a modern sparkle packaged up with perfect service. It is what makes Hong Kong unique - the representation everywhere of different cultures. Yet, you’ll find the ambiance here familiar and comfortable - the perfect balance of high style and traditional hospitality - exciting yet informal, responsive and passionate. This hotel in Tsim Sha Tsui, Kowloon reflects the true essence of Hong Kong. Hotel ICON is a very special hotel with an equally special purpose: Not only does it embody all the creative energy and spirit of Hong Kong, it’s a “learning environment” on which the aspirations of future hoteliers come to life as part of The Hong Kong Polytechnic University and an extension of its School of Hotel and Tourism Management (SHTM).In this little universe, students, teachers, and seasoned hospitality professionals come together united by one goal: to make your stay utterly memorable and pleasurable. 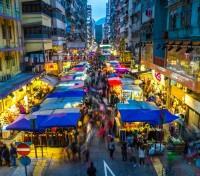 With a private vehicle and guide, taste your way through the old neighborhoods of Central and Sheung Wan. Along the 3.5 hour food tour, discover some of Hong Kong’s favorite foods as you stroll along Hong Kong’s side streets and learn about how this area evolved from a fishing village to the colonial administration district to today’s international financial center. You will also learn about what to order and how to order like a true local. 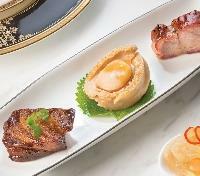 A dinner reservation can be made at T’ang Court at The Langham, Hong Kong. This is one of only four Cantonese restaurants in the world to receive Three Michelin Stars. Alternatively, a reservation can be made at Hutong Restaurant, a Northern Chinese restaurant providing spectacular views of Victoria Harbor and Hong Kong Island.